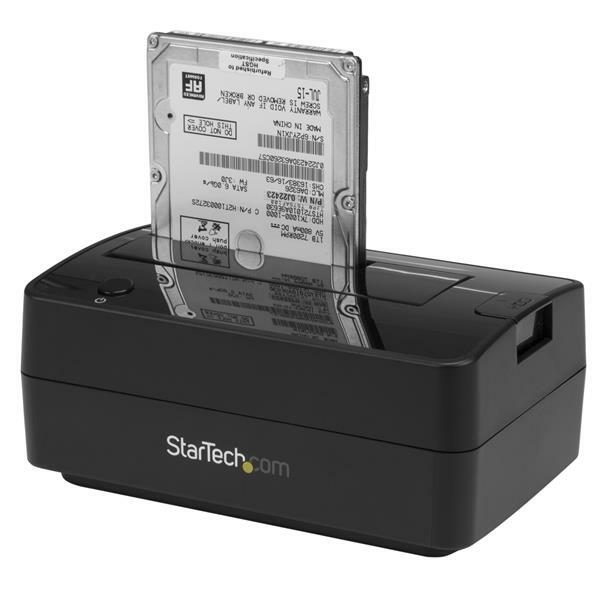 Ideal for IT professionals, the docking station lets you access a SATA solid-state drive or hard drive quickly, for drive imaging, data recovery, and backups. 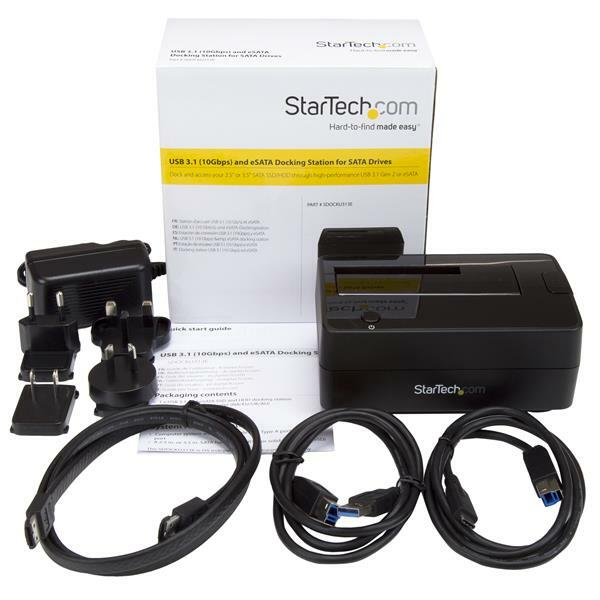 You can connect through either USB 3.1 Gen 2 or eSATA, and take advantage of the high performance of the latest SSDs and HDDs. 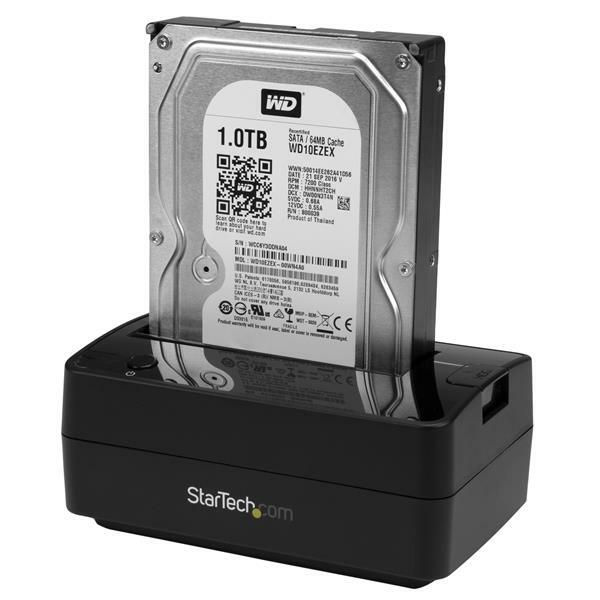 The dock's vertical drive insertion makes it easy to dock and swap drives from your desktop computer or laptop. 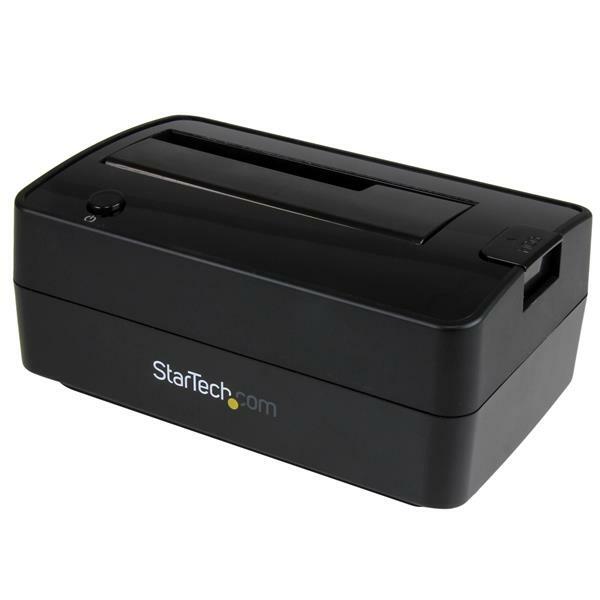 You simply insert your SSD or HDD into the drive slot at the top of the docking station, with no tools or trays required. The HDD ejection button allows fast and simple drive removal. The single-bay docking station comes with a USB Type-A to Type-C cable, for connecting to newer USB-C enabled devices. It also comes with a USB Type-A to Type-B cable, providing backward compatibility with your existing USB 3.0, 2.0 and 1.x devices. 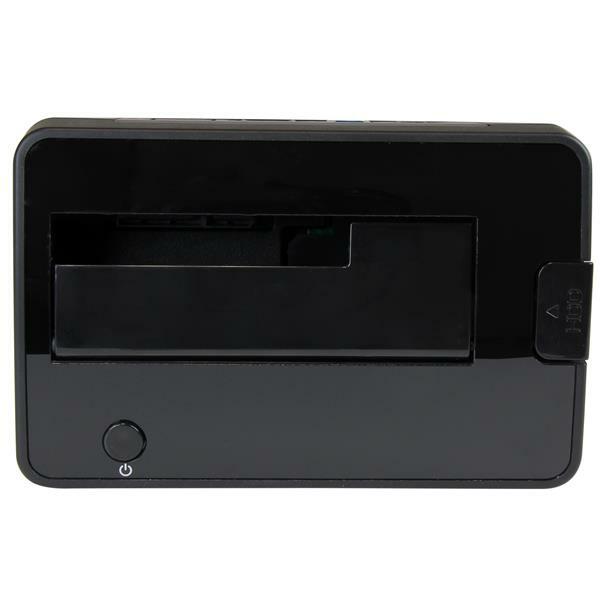 An eSATA cable is also included with the dock. 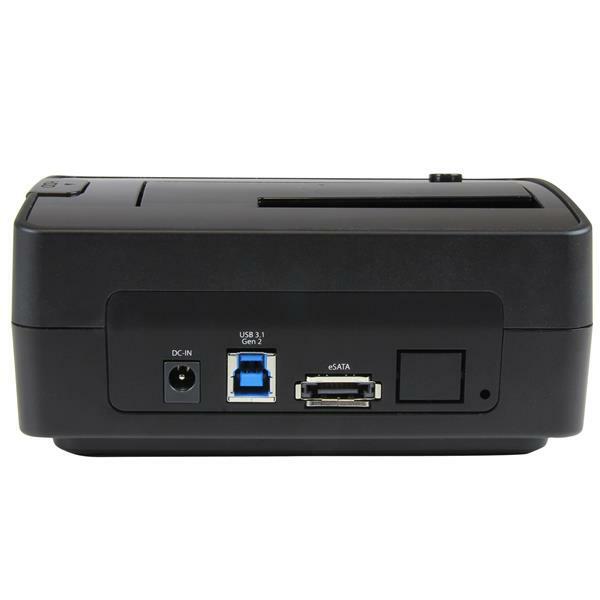 The docking station is also UASP compatible, for enhanced performance. 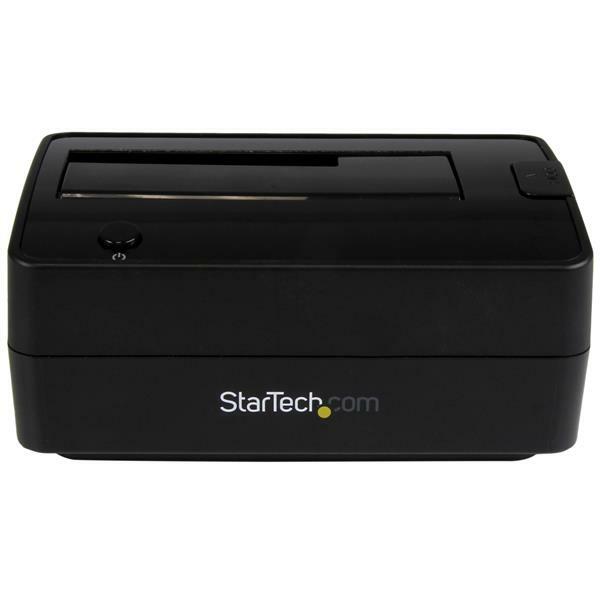 The SDOCKU313E is backed by a StarTech.com 2-year warranty and free lifetime technical support.